Singapore, it seems, has no time to stop and smell the roses. As we hurtle towards hosting the Asia’s 50 Best Bars 2019 awards in May, another opening is keeping us on the edge of our seats. Renowned Australian-based bartender Andy Griffiths is set to head new local cocktail bar, Idlewild, as Head of Operations and Creative. Fresh from his last stint as the Head of Mixology for The Speakeasy Group in Australia, Griffiths led the cocktail programmes for some of the best bars down under. In between, he has also clocked up impressive accomplishments, from being crowned Global Cocktail Champion and Brand Ambassador for Angostura in 2011 to an illustrious nomination as ALIA Australian Bartender of the Year in 2018. In Singapore, Griffiths has free rein — from beverage curation to music programming — of Idlewild. Named after the Idlewild Airport (now called the John F. Kennedy International Airport), the concept harks back to the Golden Age of air travel in the 1940s – 1960s. Designed as a retro-luxe bar, Idlewild will see warm and plush interiors reminiscent of the times, with decorations and trinkets collected from around the world. Perhaps, more mystifying are the various hidden and interactive features blended into the 2,200- square feet space. When it comes to entertainment, Idlewild will see a line-up of live music performances geared towards postmodern genres and will also host resident bands. By the bar, Griffiths showcases his penchant for innovative beverage programmes by giving an introspective to cocktail provenance and drinking cultures around the world. The menu will see unique concoctions inspired by various eras and places alongside signature drinks of countries in large formats. There’s also a selection of craft beers, wines, champagnes and rare spirits to be found behind the bar as well. Cocktail enthusiasts will appreciate the worldly take on beverages here. In the meantime, we think the birth of Idlewild is set to cast more global eyes on Singapore’s bartending scene. 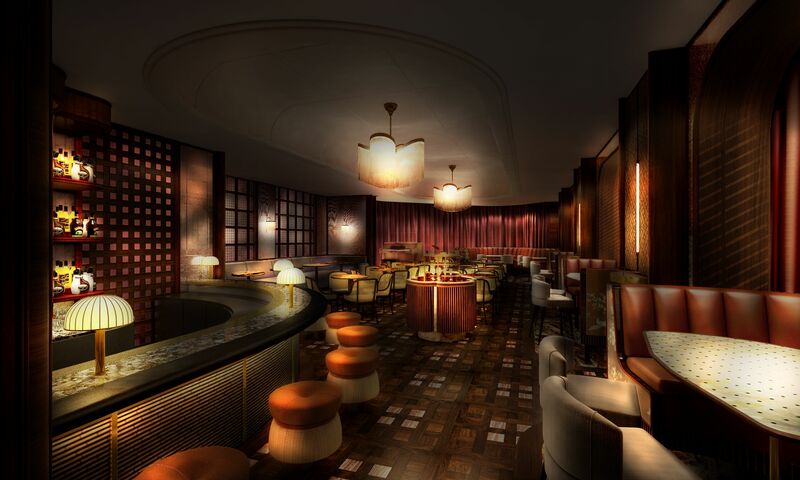 Idlewild at InterContinental Singapore opens 20 February . Jasmine Tay is the dining, culture and jewellery writer. She makes fine silver jewellery and causes mini-explosions in the kitchen when she can't afford fancy dinners. Sometimes she tells people what she thinks about art, and binges on the music of Danzig when they don’t agree.